Become another one of our happy customers! Thank you, the service was very good and professional. The delivery was speedy and the product is what was promised, I am excited to use it. *All M series models are equipped with standard 17" handles. The S4 Monitor is designed to be user-friendly while providing ample advanced functionality. The monitor displays Time, Distance, Speed/Intensity, Stroke Rate and Heart Rate (with optional sensor). 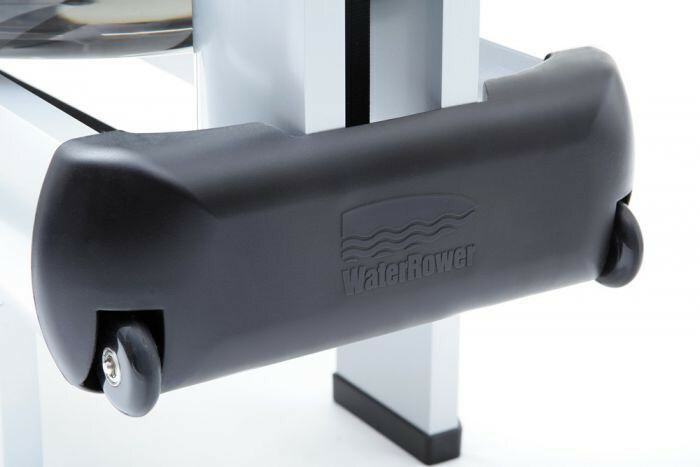 The WaterRower has been designed to require little maintenance. The only regular maintenance is to keep an eye on the quality of water in the tank. Purification tablets are recommended to be added every 3-6 months. 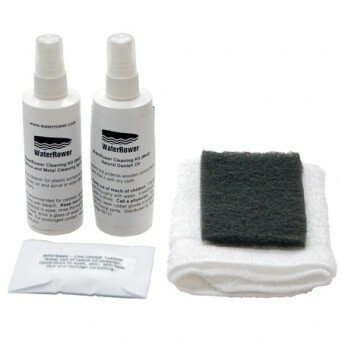 Purification tablets are supplied by your local WaterRower office for the life of your machine. 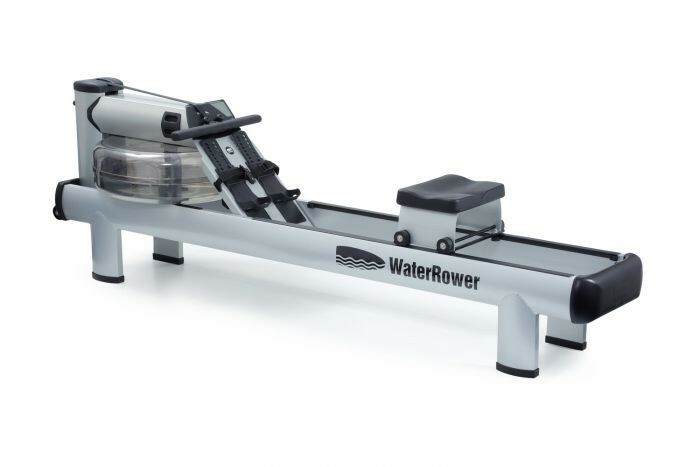 Unlike other rowing machines, the WaterRower has no cogs and chains and so no oiling is required. Is there a lot of assembly involved? Assembly of each model requires joining the main components together. Assembly should not take longer than 45minutes. All that is required is a 5mm allen wrench. Videos can be found here. Once assembled, water will need to be added to the tank. This can be done either using the hand syphon pump provided or hose. Please, refer to the manuals for water level recommendations. Be careful not to overfill the tank. What are the differences between the models? 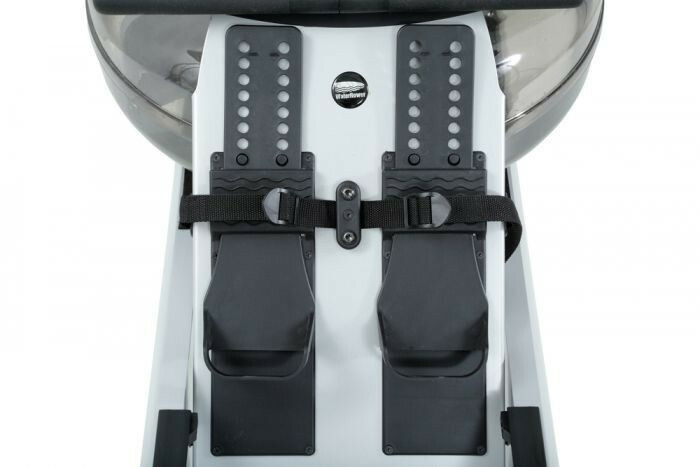 There are various models of the WaterRower, each are designed to suit a specific environment. There are no major mechanical differences to each model, just the hard wood used and the finish. The Natural Series is made out of solid Ash wood, the WaterRower Natural is finished with a Honey Oak Stain and Danish Oil and the WaterRower Club is finished with Black and Rose Stain and Danish Oil. The Designer Series consists of the Oxbridge, Classic and S1. The Oxbridge is constructed in solid Cherry wood and the Classic in solid American Black Walnut wood, both finished with Danish Oil. The S1 model has similar dimensions to the wooden models but the frame is made from Stainless Steel. The M1 series consists of the Lo Rise and Hi Rise version, designed primarily for the commercial environment. 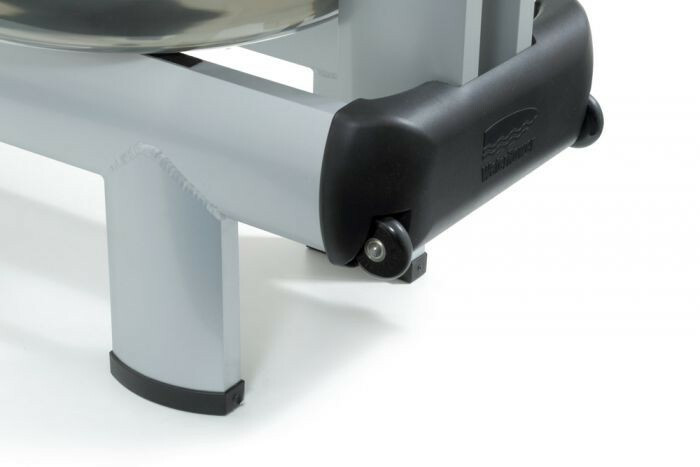 The Hi Rise version has elevated legs to provide the WaterRower with elevated seating position and an easy on, easy off entry point. Both M1 models are constructed in aluminum and powder-coated in a variety of customer color options. The A1 Series is different to all of the above models in that is it a mono-rail design, the Natural, Designer and M1 series are all dual rail. 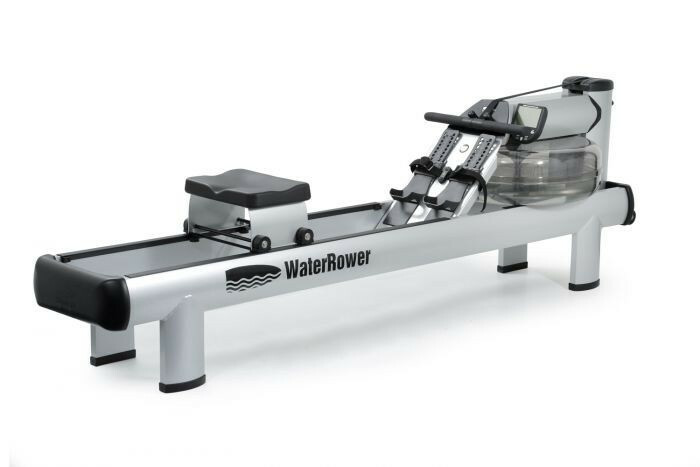 This A1 Studio version is engineered for use in group-x classes such as Indo-Row and ShockWave. This series is constructed out of solid Ash wood and aluminum rail. The Studio version, the Ash wood is finished with a Honey Oak Stain and Danish Oil, where the Home version, the Ash wood is finished with only Danish Oil. What is needed to use the heart rate function on the S4 monitor? For Heart Rate to be displayed on the S4 monitor two additional items are required - a chest belt and a receiver plug-in connector. 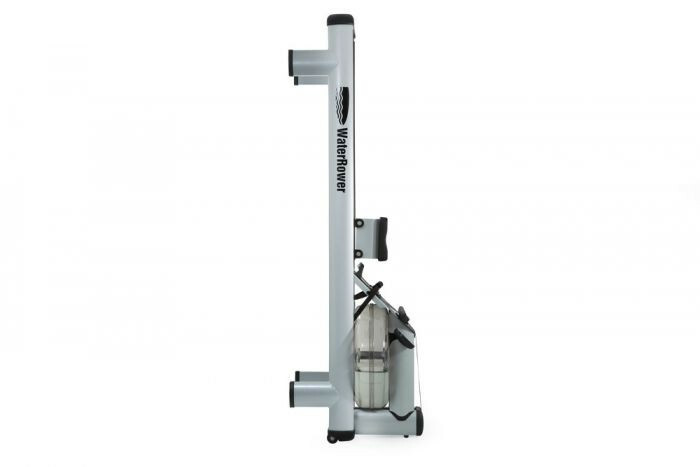 WaterRower offers a choice of the Polar Analog Heart Rate Monitoring Kit and the ANT+ Digital Heart Rate Monitoring Kit. Each kit comprises of the chest belt and receiver plug in connector. You’ll get it within 5 to 9 working days, but we’ll do everything possible to make sure it’s quicker depending on the availability status of each item. 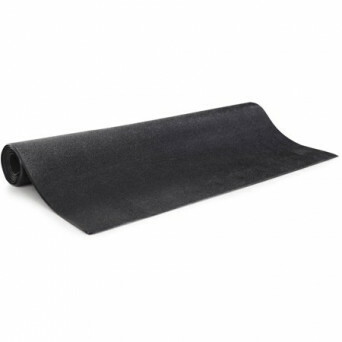 For items you would like installed we will do our best to meet your earliest requirement. For other areas please contact us on 0861114086 for an installation quote. © Copyright Fitness Network, 2019. All rights reserved.